100% solids moisture-cure urethane sealant. Use to construct liquid flashing systems on all types of roofs. Resistant to grease, fats and oils. 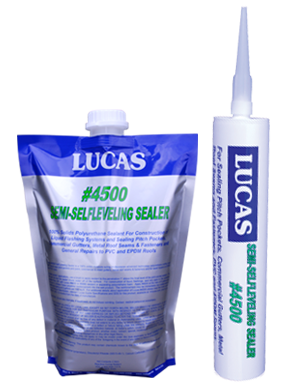 Compatible with Lucas modified urethane and water-based acrylic coatings. Ideal for sealing metal roof seams and fasteners, pitch pockets and miscellaneous repairs on single-ply membranes. Available in black, gray and white.